Danish modern furniture and accessories retailer BoConcept and Daimler automotive brand smart are both known for their expertise in innovative urban design. 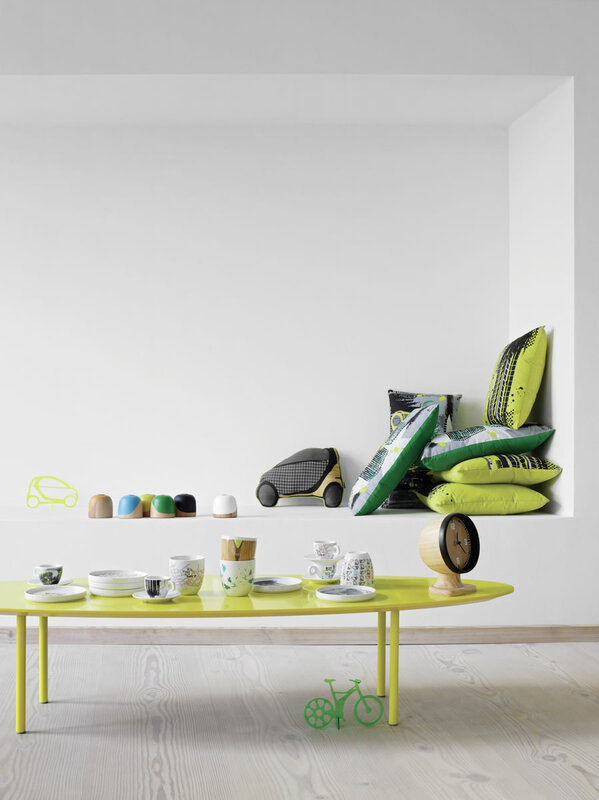 They have officially joined forces, introducing the world to the smart fortwo BoConcept signature style car as well as a furniture and accessories collection named the BoConcept smartville collection. No compromises were made in the development of designs for urban living. As the world’s largest cities continue to grow, one major challenge in urban living is limited space. BoConcept and smart deliver intelligent solutions that save space, but never compromise on look and quality. 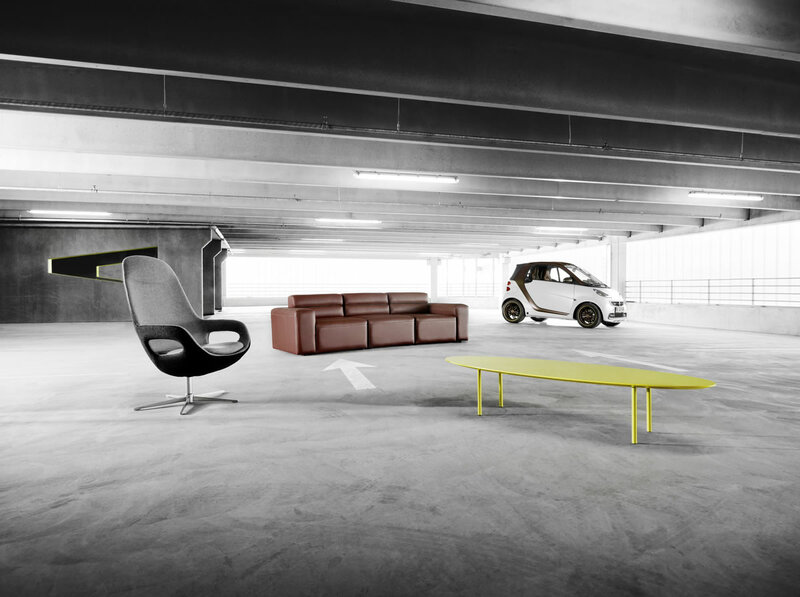 The clever city car solves the challenge of limited parking space, and the multifunctional furniture pieces help optimize limited living space. 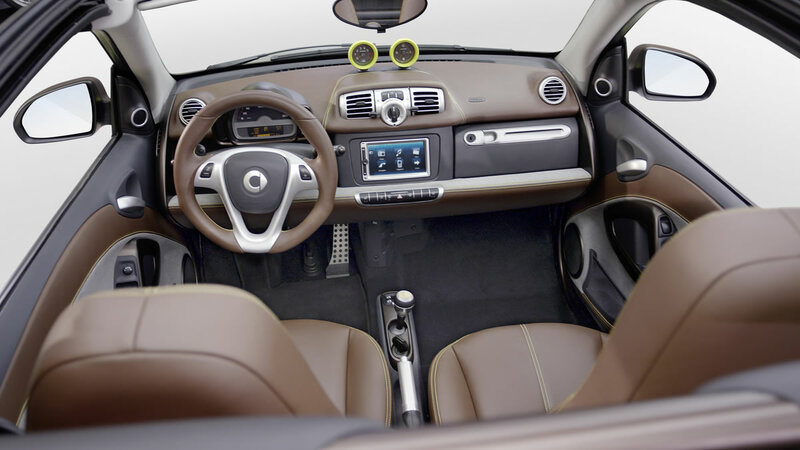 Both companies’ customers look for customized solutions to express their personal style, and they have many options when it comes to personalizing their smart car and designing their BoConcept furniture. 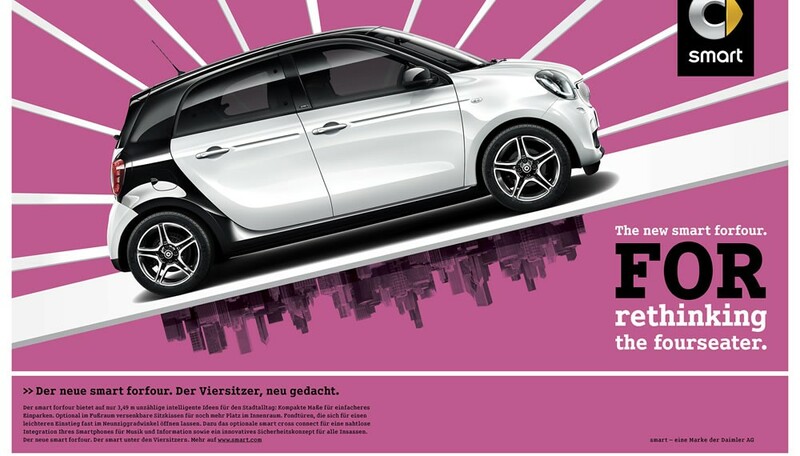 “Basically, the smart car and the BoConcept furniture each have strong character, which is made evident by the type of customer who buys them, explains Martin Hülder, head of smart marketing and product management. 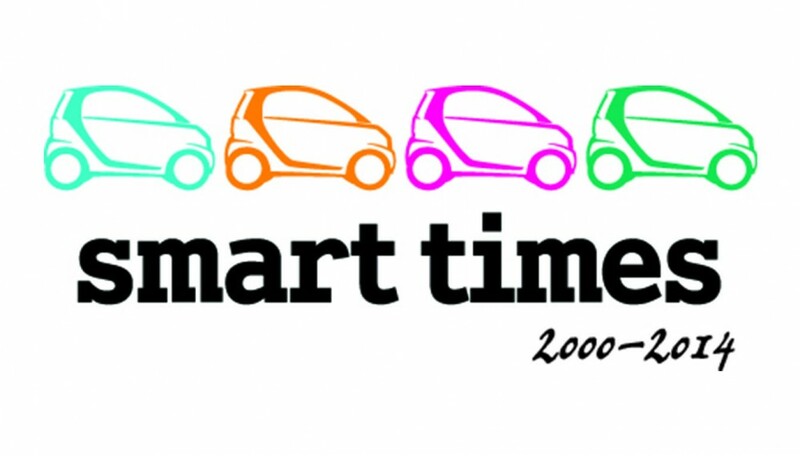 The BoConcept design team and the smart design team worked closely together in the creation of the smart fortwo BoConcept signature style and smartville furniture and accessories collections. During the process, the designers shared and exchanged their knowledge and experience and introduced each other to new materials and ideas, some of which became part of the design of the car the smartville collection. 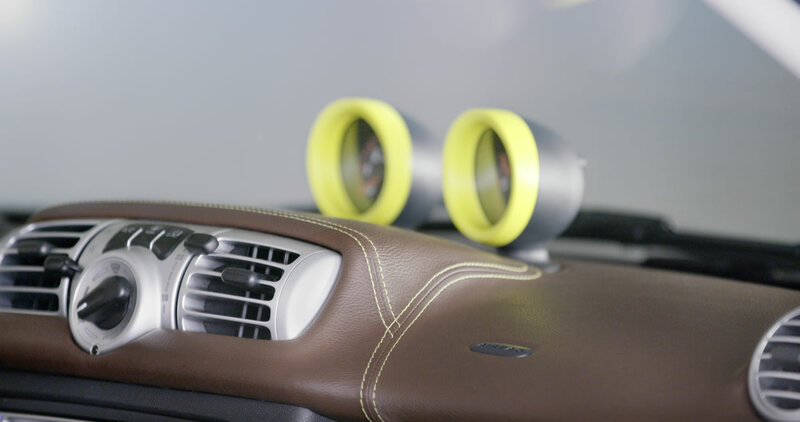 The interior of the smart fortwo BoConcept signature style has a strong sense of home. The tobacco brown leather combined with fluffy, sofa-style grey fabric on the seats, door panels and dashboard is warm and soft in contrast to the classic black often seen in many cars. Just like the smartville sofa in charcoal grey, the yellow contrast stitching is visible all over the interior of the smart fortwo BoConcept signature style. And the finishing touch is the gear knob in real oak wood, a material that is very common in home furnishings but has never been introduced in a smart car until now. 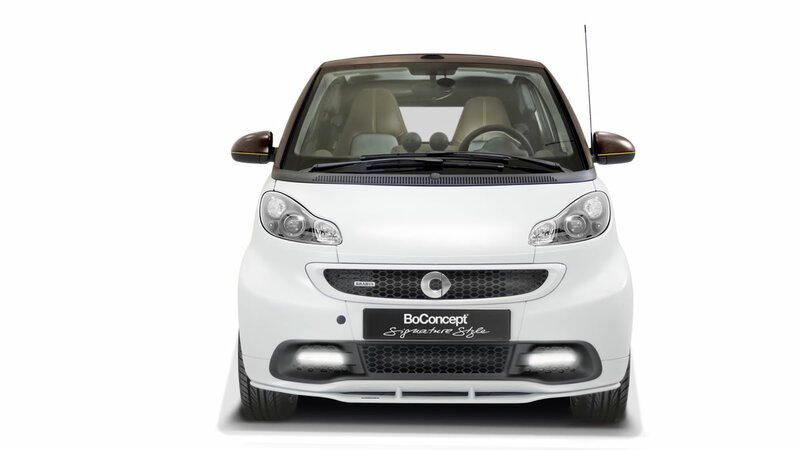 The smart fortwo BoConcept signature style will be presented during a joint world tour and take part in events at BoConcept dealers during March and April. 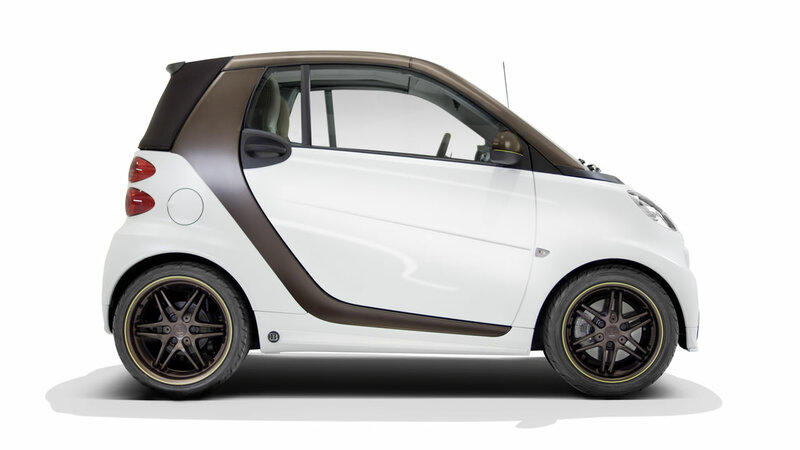 The customized car can also be ordered by design-loving individuals at any smart dealership that is offering the smart BRABUS tailor made program, price upon request. The living room takes on a new, cutting-edge dimension with the smartville furniture collection from BoConcept. Inspired by the bold, unique and personal expression of the smart car where every design detail is carefully integrated, the smartville collection presents an intrepid new look. With the smartville chair (from $1,995), a new design icon is born. It resembles the seat of a car with its clean, high-tech shape, but exceeds comfort expectations from a living chair with its swivel and tilt capabilities. 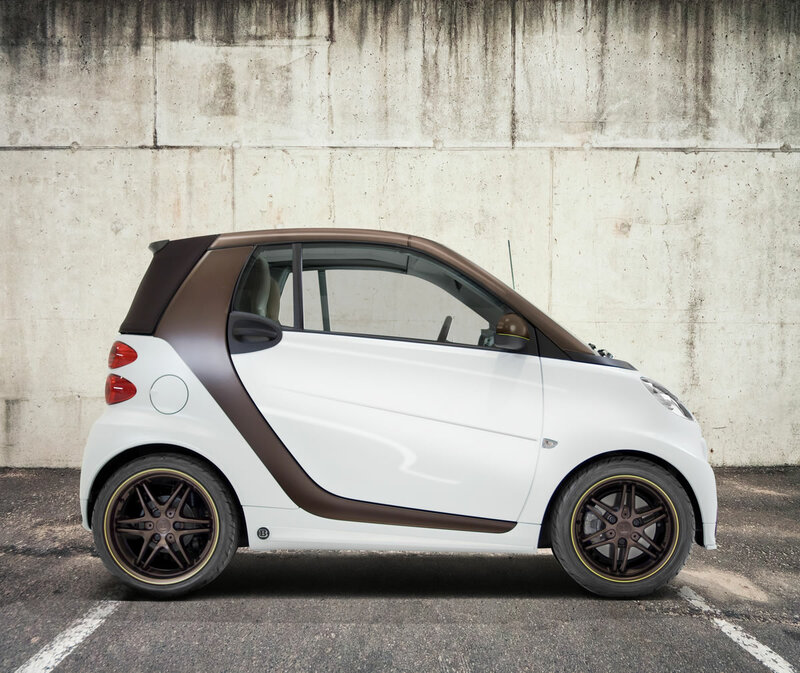 The lines of the smart car are clearly integrated in the shapes of the chair’s armrests. Shoppers can choose from the more formal black leather or tobacco brown with a cool yellow stitching for contrast, or the more casual felt in two grey tones. The smartville sofa (starting at $2,995) is quite masculine with its volume and boxy shape, but the wavy surface and soft edges and corners turn it into a casual, welcoming and comfortable sofa. The design teams have transferred the yellow stitching from the smart car seat to the brown leather and soft grey versions of the smartville sofa – a funky detail that adds personality and emphasizes the curved lines. Like all other BoConcept sofas, the smartville sofa is completely modular so shoppers can customize configuration, fabrics and leathers with the basic module being exactly as long as a smart fortwo – 8.825 feet. And finally, the modern collection is completed by the smartville coffee table ($595) with its organic shape and minimalistic design. The table is available in white lacquer, oak, walnut and black-stained oak veneer as well as the daring yellow lacquer. The bright yellow, almost chartreuse, color ties the designs together – from highlights in the smart fortwo BoConcept signature style to the stitching of the smartville leather sofas and chairs. The smartville Collection is available in BoConcept stores nationwide beginning April 1, 2013. The accessories collection has smart written all over them. The iconic smart outline can be found on pillows, candlesticks, acrylic sculptures, plates, espresso cups, rugs and mugs. 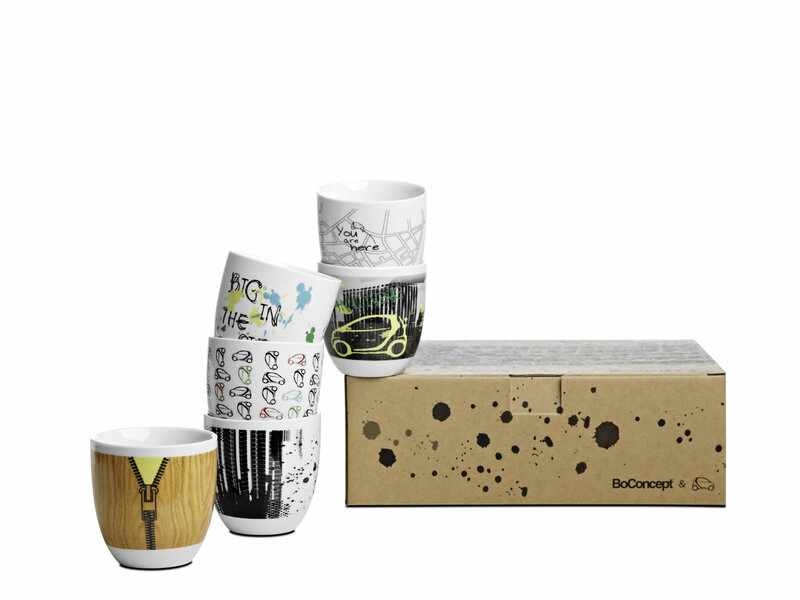 The mug design is borrowed from the popular BoConcept Collector’s Item line, which launches new designs once a year. 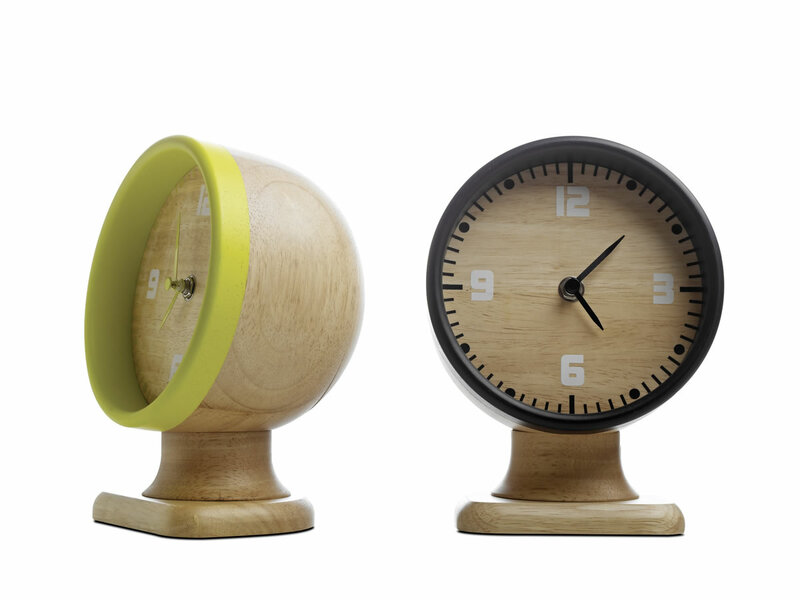 The accessories collection also features a wooden replica of the clock found in the smart fortwo BoConcept signature style car. All items in the collection feature fun, unexpected contrasts by mixing natural colors with bursts of yellow, a powerful combination for everyone who loves the agile pace of the city. 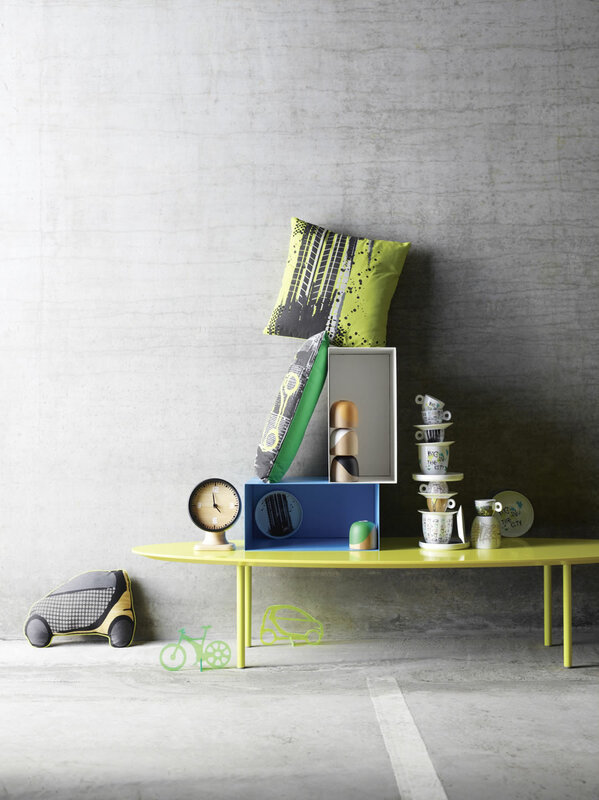 The smartville accessories collection is available in BoConcept stores nationwide beginning April 1, 2013.